WORDBEAT for Poets and Jazzsters – Yvonne de la Vega was here. 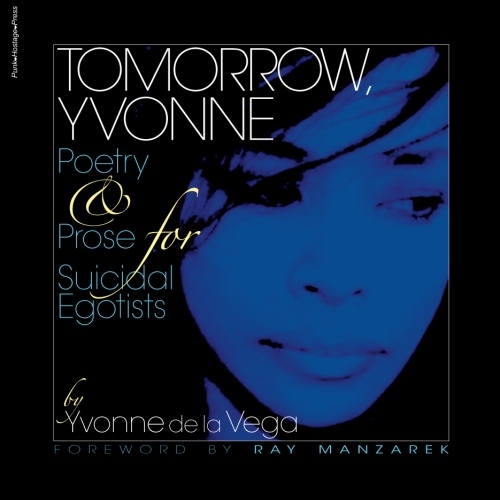 WORDBEAT ☛ Poetry & Jazz Joint Open mike hosted by Poet Yvonne de la Vega and John Drew Barrymore. LISTENERS REGISTER TO BE SEEN IN THE CHATLOUNGE. Unregistered guests can’t interact. AWE Poets and Listeners in the WordBeat chatLounge mingle, network, listen and call in to lay out some spoken word over some choice jazz tracks played by Ms de la Vega, who also spins out some Poetry & Jazz greats such as The Last Poets, UFO and Gil Scot, as well as favorite recorded works by her fellow poets like Rich Fergesun, Quiet Storm, Mike The Poet and her own works.The open mike sessions are fun and always all inclusive, artistically challenging and spiritually rewarding for both poet and listener. The poetry is always good and the jazz always stellar. Newcomers are always welcome. Lots of Love to go ’round. As always you show was tops! Sorry to hear that you were under the weather. It was still a good show. See you next weekend! Great Show! Again think you Wordbeat and Milo for the opportunity to express… Star Rating: 10 Keep up the good work!! 1. Just want you to know Sunday night show was HOT! 2. My first time experiencing Shock G..WoW 3.Tupac poetry… can’t find the words! Snap Snap 4.I only wish I could be have the poets you all are. Thank you for the enlightment! Great show! You, Shock & the whole vibe of the show I really enjoyed myself. Thanx for visiting … I need to come over here! Wow, thank you! Thank you for such kind words! !